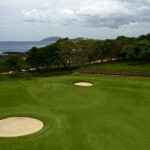 Boasting one of the most spectacular settings in all of Costa Rica, the Hacienda Pinilla Golf Course in Guanacaste, near the surf town of Tamarindo, provides a challenging yet serene links style experience designed specifically to conform to its natural surroundings. 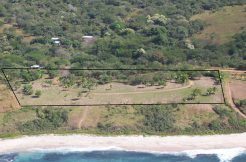 Perfect for homeowners, vacationers or those staying at the JW Marriott Guanacaste, this Costa Rica championship golf course captures the authentic feel of a ranch meets sea setting. 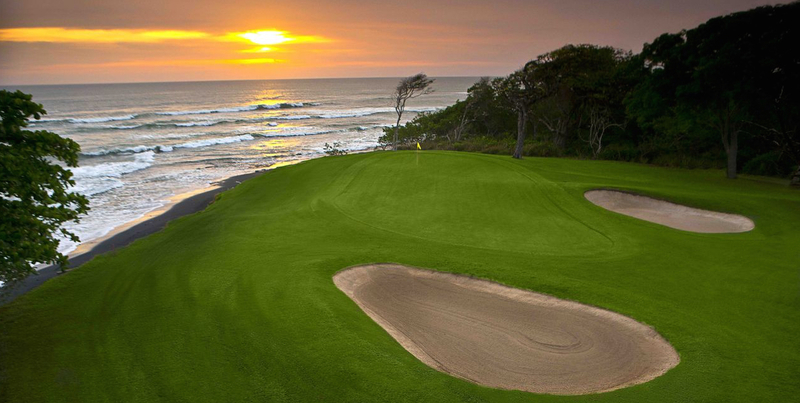 Perched directly on the Pacific Ocean, here you will enjoy 7,200 yards of links meets the ocean kind of play on this par-72 course. 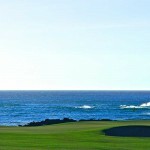 Opening in February 2001, this Mike Young Signature designed links style golf course is a wonderful test for all golfers. 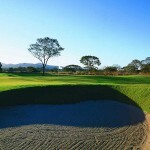 With well-guarded beautiful manicured greens that are among the best in Costa Rica, friendly landing areas for long drives, and a length that will put your skill to the test. 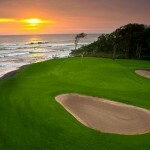 Here accurate iron play is the key to dominating this golf course that literally has a few holes that spill into the waters of the Pacific. 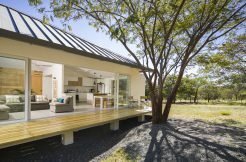 A certified Audubon Cooperative Sanctuary, the Golf Course at Hacienda Pinilla in Guanacaste Costa Rica shows the utmost respect for its natural setting and has earned this special designation for its efforts in preserving ecological balance. 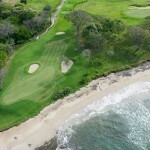 While testing your skills on this world-renowned course, you will enjoy amazing ocean views including Hacienda Pinilla’s signature par 3 on hole #15 where on a windy day will offer a refreshing blast of seas spray it’s so close to the waters edge. 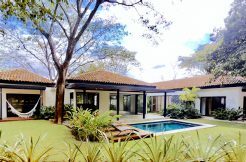 You will also have the extraordinary opportunities to catch a glimpse of exotic wildlife as you enjoy this amazing dry tropical rain forest golf course that can challenge golfers of any skill level in a very unique environment. 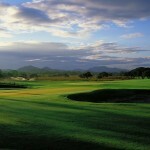 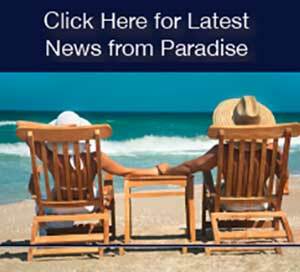 For information on all golf courses in Costa Rica, please visit our vacation rentals concierge page.